A member of the Cuban Five, Rene Gonzalez, who spent 15 years as a political prisoner in the U.S., has launched a campaign to remember “prisoners of conscience” held in U.S. jails in response to a similar campaign launched last week by United States Ambassador to the United Nations Samantha Power. Were Power to believe her own rhetoric, she would call on the U.S. government to release the political prisoners highlighted in Gonzalez’s campaign: Oscar López Rivera, Ana Belén Montes, Leonard Peltier, Julian Assange, Simón Trinidad, and Mumia Abu-Jamal, all deemed political prisoners in the U.S.Telesur looks at some of the cases raised by Gonzalez and a few more. 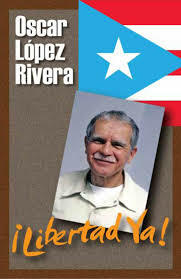 A leader of the Puerto Rican independence movement, López Rivera is currently serving his 35th year in prison on charges related to his independence activities with the Armed Forces of National Liberation (FARN), which fought to turn Puerto Rico into an independent communist state. He is the longest-held political prisoner from Latin America in U.S. history. An international campaign continues to call for her release on humanitarian grounds. She has never been allowed to have any interviews. She has had almost no visits in her 15 years of incarceration due to conditions imposed by the prison system. She has been in complete isolation in remote northern Texas; and she has had to bear her treatment for breast cancer, including a mastectomy, alone. Harvard-educated Simon Trinidad, also known as Ricardo Palmera, was the de facto foreign minister of the Revolutionary Armed Forces of Colombia, FARC. During a 2004 diplomatic trip to Ecuador to meet with U.N. representatives, he was arrested and deported to Colombia, where former President Alvaro Uribe declined to charge him with any crime, and instead conspired with U.S. officials to create a false pretext to deport him to the U.S.After the U.S. was unable to convict him in his first trial on trumped-up kidnapping charges, a second jury found him guilty in 2008 and sentenced him to 60 years. Despite that conviction, U.S. officials then tried to convict Trinidad on drug charges. After two juries found him innocent of those charges, U.S. officials abandoned the attempted drug prosecution. Leonard Peltier was a leading figure in the American Indian Movement during the peak of its political activity in the 1970s. The movement, also known by its acronym AIM, was a militant group championing Native American autonomy and culture. In 1977, Peltier was convicted of the murder of two FBI agents in a trial Amnesty International has called unfair, given that there were no witnesses while key ballistics evidence used to tie Peltier to the murders was later revealed to be false. 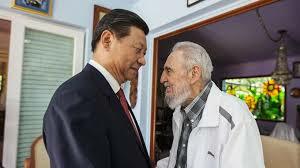 The 40-year campaign for his release has been championed by the likes of Nobel Peace Prize winners Nelson Mandela, Desmond Tutu, and Rigoberta Menchu, as well as the Office of the U.N. High Commissioner for Human Rights and the European Parliament. Despite these efforts to secure his release, Peltier remains in jail as the longest-serving political prisoner in the U.S. At age 71 and suffering from diabetes and complications from a massive aneurysm, many fear that without a presidential pardon, he will die in jail. In a May 2016 interview marking his 40-year imprisonment, Peltier spoke about his activism, saying, “That’s what we were always fighting to change — the idea that Indian lives weren’t worth anything. Indian culture has contributed great things to the world … we wanted to be recognized,” he said. Journalist, acclaimed prison activist, and former Black Panther Party member Mumia Abu-Jamal is perhaps the most well-known political prisoner in the U.S.Sentenced to death in 1982 for the alleged murder of a Philadelphia police officer in a trial called a “travesty of justice” by civil liberties advocates and human rights organizations such as the NAACP, ACLU, Amnesty International and Human Rights Watch, Abu-Jamal spent almost 30 years on death row until 2011, when his sentence was commuted to life in prison after an appeal courts ruled that the original trial and sentence were tainted by racism. Through his prison writings and popular radio broadcasts, Abu-Jamal has remained a key dissident voice in the U.S. reporting extensively on the prison-industrial complex and the institutionalization of white supremacy. 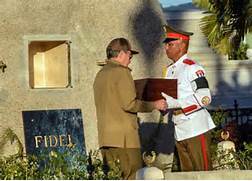 In the past two years, the campaign for his release has gained added impetus given his deteriorating health. In September, a federal court ruled that prison officials had violated the U.S. constitutional guarantee against “cruel and unusual punishment” by denying Abu-Jamal treatment for Hepatitis C.
For 14 years, the U.S. has operated this “island outside the law,” where 800 men have been illegally detained, tortured, and held without charge or trial in violation of both U.S. and international law. Despite President Obama’s promise to close the military prison, something the American Civil Liberties Union calls a “shameful episode in American history”, 49 prisoners remain jailed, despite facing no charges or having ever been convicted of a crime. The U.S. government itself has declared that 20 of these men – detained during the U.S.’s so-called “War on Terror” – are entirely innocent of any crimes and pose no threat to the U.S. While every single national and international human rights group has called for President Obama to close the prison and release the prisoners before his term ends, the U.S. government is in the process of renovating the facility, increasing fears that it will continue to be a key part of the U.S. national security apparatus under President Trump.